– There must be 2 identical photos (ie. two copies of the same photo). – Each photo must be 45mm high and 35mm wide. – You cannot cut down or crop a larger image. – have not been edited with software eg. photoshop. 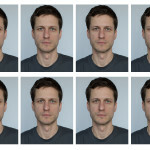 Digital passport photos need to be at least 600 pixels wide and 750 pixels tall, and between 50kB and 10MB in size. Other than that, they need to meet all the same quality requirements as printed photos in terms of being clear, in focus, and unaltered by software. What does your photo need to show? Passport photos need to be a clear picture of your face, facing into the camera, and not smiling or frowning. The photo needs to show your entire head and upper shoulders. It cannot show all or part of any other person, and must be taken against a plain cream or light grey background. You must make sure that you keep your mouth closed, have your eyes open and visible (not hidden by hair, and with no redeye), and that you are not wearing a hat or head covering of any kind unless it is for religious reasons. There must also be no shadows covering your face. 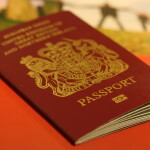 What happens if you lose your passport abroad?